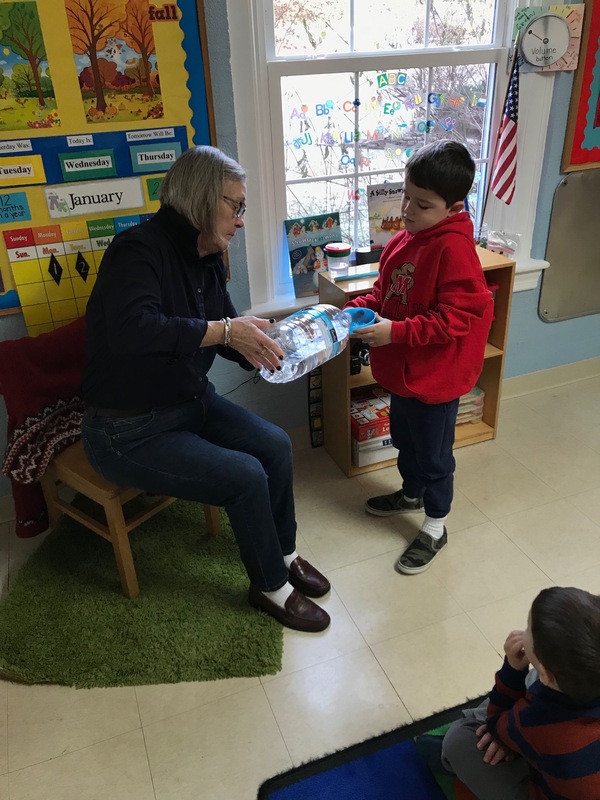 The weather has been getting colder and colder and for most of us that means bundling up and trying to stay warm but for a Minnesota girl like Mrs. Scott-Kem it means fun with science! There are not many people who can get a group of 4 and 5 year olds together to make a scientific hypothesis, test their hypothesis and track the results, Mrs. Scott-Kem however, is one of those people and we are very lucky to have her here at CNS! Mrs. Scott-Kem discussed the difference between a solid and a liquid and how some of the things we see everyday are different forms of the same exact thing, like water. To help better understand this, the class did a fun science experiment. 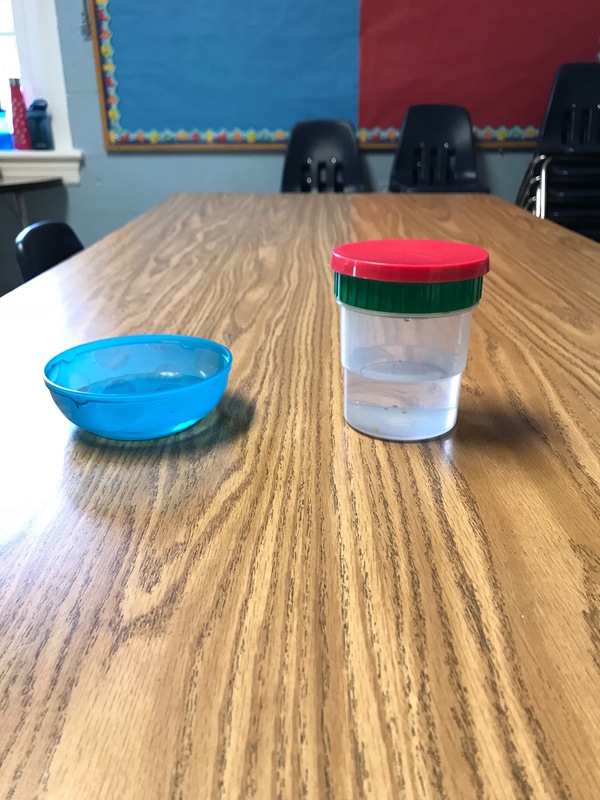 We filled 2 containers with water, one had a lid and could hold more water and the other was a shallow bowl without a lid. We placed both containers outside on a very, very cold January morning. But which container would freeze first? … and so the fun begins! 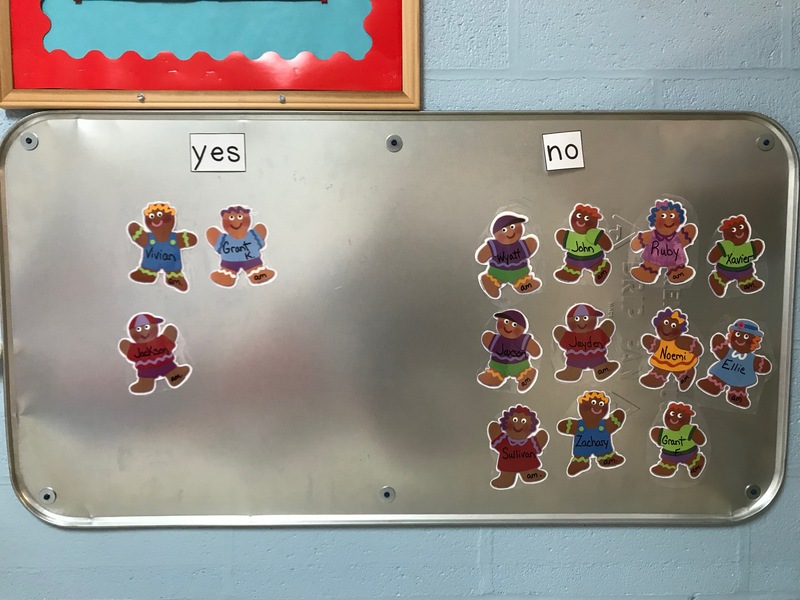 Together the class came up with their own hypotheses about which container would freeze and we tracked each student’s prediction on our magnet board. While the kids were waiting for the water to freeze, we discussed the reasons why they felt one container would freeze before the other. We discussed how the volume of the liquid, (which one has more or less than the other) as well as having a lid might affect the results. This might sound like a lot for 4 year olds to comprehend, but they didn’t skip a beat! At the end of class we brought the containers inside and discussed the results. Since the blue bowl was shallow (held less water) and had no lid, it was the first to freeze. As you can see from our hypotheses, most of the kids were spot on! 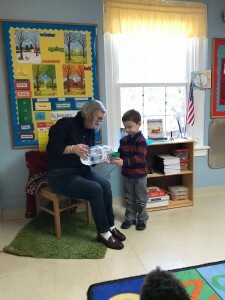 And the ones who predicted the other container proved that even at 4 and 5 years old, they can make their own choices and not just follow the crowd. It was really fun watching their big brains at work! Yay for STEM at CNS!